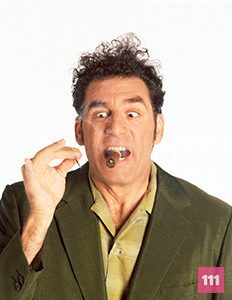 Cosmo Kramer is the easy going guy of the group, his quirky nature provides lots of entertainment for his friends. He has no regard for door knocking. Born in Culver City, California. His birth date is July 24th.